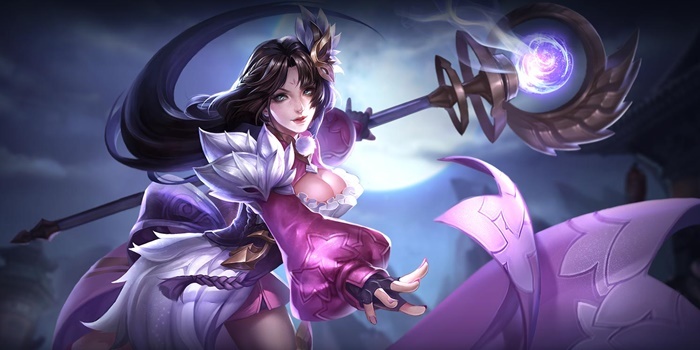 Diao Chan Item Builds Guide for Arena of Valor (AoV). Each build is geared toward a different play style, so choose one that fits your personal preference. These items are necessary in order to play Diao Chan optimally. Only diverge from a core item if you are a very experienced player and/or you have a very good reason for doing so. Frosty’s Revenge While the item might seem a bit redundant, Frosty’s Revenge stacks with the natural slows of Diao Chan’s abilities to dramatically restrict tagged enemies. It additionally gives a small boost to movement speed, something that Diao Chan otherwise lacks. Holy of Holies Not only offering an immense amount of ability power, Holy of Holies provides the holder with a large HP boost as well. This will both increase the impact of Diao Chan’s spells and keep her up longer in fights. 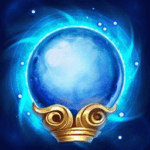 Orb of the Magi A great starting item for most mages, Orb of the Magi helps its wielder stay in lane while also providing increasing amounts of ability power and health as time passes. The cooldown speed it offers is a good addition, helping Diao Chan throw out spells at an increased pace. Hecate’s Diadem Offering the highest ability power potential for a single item, Hecate’s Diadem is a given for mages. The extra damage will really help Diao Chan soften up targets caught in her spells. Boomstick Boomstick’s high ability power and explosive passive make it a great way to increase a mage’s damage output. 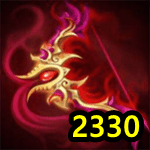 Diao Chan can use this to play more like a nuker than a supporting mage. Rhea’s Blessing Should the battle not be the team’s favor, Rhea’s Blessing can grant protect Diao Chan by granting a shield so that she can escape. The built in magic lifesteal is a nice addition, giving her an additional source of sustaining her health. Flashy Boots Flashy Boots is a great way to keep her abilities regularly up and ready for controlling the enemies. Keep an eye on your other sources of cooldown speed, however, as it doesn’t take too much to hit the 40% cap. Enchanted Kicks Enchanted Kicks is an offensive boots choice, helping the wearer’s spells pierce through the enemy’s defences. These are great if you are already well equipped with cooldown reduction or if the enemies are tougher than most. Gilded Greaves Gilded Greaves is a purely defensive choice, granting magic defense and resistance. The resistance is especially useful when facing enemy teams with a lot of control abilities at their disposal. Arctic Orb Diao Chan can greatly increase her survivability with Arctic Orb since she has no escape abilities and her control abilities are unreliable and requires precision. Do take note that using Arctic Orb while channeling her ultimate cancels the ability, so take caution. Here we make our main goal to push up Diao Chan’s damage potential. Her abilities scale relatively well, her ultimate in particular able to deal out large amounts of damage to those caught within. We stray from complete ability power focus with Frosty’s Revenge, the extra slow too good to pass up on. Here Diao Chan forgoes damage almost completely, instead building up items to set enemies up for her allies to pounce on. This is a rather durable build in comparison to some of the others, many of the items offering health or other defensive benefits. One notable addition is Soaring Aura, it’s slashing of magic defense both aiding allies and Diao Chan herself. The aura is a perfect fit for her aural ultimate. The shield can sometimes save you, but usually it will only delay your death. If the enemies jump at you, you are probably dead anyway. Lifesteal is too small for be efficient. Not a bad item, but the other items above are better when using Diaochan for DPS. I use 10% movement speed arcana making her quite fast, so I don’t use the 5% speed Frosty gives. Also, my speed lets me run after enemies and slow them with ability 1 and 2. Soaring Aura take care of the Magic Defense. And the 15% cooldown from Flashy Boots let me use my abilities more often, which makes me deal more damage over time. 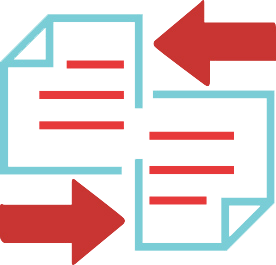 OldFog made my job easy, justifying their decisions and explaining their reasoning along the way. Take notes friends, this is how you get noticed quickly. This looks to be a rather damage centric build that relies on rapidly casting abilities to disable foes rather than on adding any additional utility to the abilities themselves. A perfectly sound strategy with Diao Chan, whose abilities already are very capable of locking enemies down. You got down and rescue Freez them and kill whit special if time. Flash boots helps you escape whit ancestral glory. If you get down and others team mates are low heal you could possibly save them to freez and special if get time.